If you take your vodka seriously, you’ve come to the right place. GAYOT sampled top-shelf vodka offerings from around the world to come up with a list of the best, most authentically-made options. Contrary to popular belief, vodka should have flavor, in the Polish and Russian traditions, so we’ve highlighted those that can stand alone or be simply accented with lime or a piece of smoked fish. And if you like your vodka flavored, check out GAYOT’s of Best Flavored Vodkas. Akvinta Vodka uses only the finest Italian wheat and pure Croatian spring water. The ingredients are then stripped of impurities through a patented Quintuple Filtration process. This certified organic, kosher spirit has a light, floral scent with a hint of lemon and is extremely smooth going down. Price: $43 for 700 ml. This 100 proof Vodka from Poland’s famed distillery shows the craftsmanship of a master. Its name accurately implies what is to follow: an intense and memorable experience. The nose is derived from the double charcoal-filtered finishing process as much as from the rye from which it is distilled. This produces a nice jolt of excitement when it enters the palate, followed by a powerful load of flavors including savory bits of caramel and spice, backed by a light taffy flavor. Price: $30 for 700 ml. Produced from seed to bottle on the Chase family farm in Herefordshire, this spirit is the world’s first premium English potato vodka. Handcrafted according to traditional methods using estate-grown King Edward and Lady Claire potatoes, the vodka is pure and smooth with a naturally sweet and creamy flavor. It’s a skull-shaped bottle with a mysterious archaeological back story, a unique diamond filtration process and a big-name celebrity backing it up. Although he’s best known for comedy, from Saturday Night Live to The Blues Brothers and Ghostbusters to name just a few, making vodka is no joke to Dan Aykroyd. The Canadian-born actor, comedian, UFOlogist and New Age proselyte founded the Canadian-made spirit in 2008 with artist John Alexander (who designed the bottled). Made with water from a deep aquifer in Newfoundland, the vodka is distilled four times then filtered seven times, three of which are through Herkimer diamond crystals, which are believed to emit positive energy. In the US, Crystal Head Vodka has a suggested retail price of $50 for a 750ml bottle packaged in a gift box. The distinctive crystal head-shaped bottle is inspired by the legend of the 13 Crystal Skulls, which supposedly carry magical power and healing properties. We surmise that Aykroyd’s bottle does not defy the laws of crystallography and the axis of symmetry (to prevent the crystal from splitting during processing) like the Mitchell-Hedges skull, the most famous of the 13. The vodka itself has character, too. Smooth, with a little bit of burn. Some licorice on the finish that tends to linger. And who doesn’t love lingering licorice? By: Heavy WaterNo need for alarm — contrary to its name, this vodka is not radioactive.In fact, the Swedish spirit is uncompromisingly pure. Handcrafted from high-quality winter wheat and pristine Nordic water, the vodka offers a fresh, slightly sweet taste, with minor hints of earthiness along with a faint touch of almond, vanilla cream soda and citrus. Price: $25 for 750 ml. Produced from Chardonnay and Pinot Noir grapes grown in Burgundy, France, IDÔL Vodka is a stellar spirit. It is crafted using techniques borrowed from the region’s winemakers. The fruit is hand-picked, distilled seven times and then filtered five times. This process creates a sweet, grape-forward vodka with a crisp, mild finish. 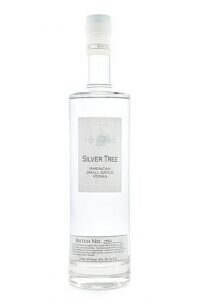 Perhaps the most prolific distiller of different small batch spirits in the United States, Leopold Bros. can hang its hat on the masterpiece it produced in Silver Tree American Small Batch Vodka. Unlike most vodkas, which are produced from potato, barley or wheat individually, this vodka incorporates all three ingredients for a truly unique combination. It goes through seven separate distillations and is ruggedly strained and never filtered, creating a light and clean finish. 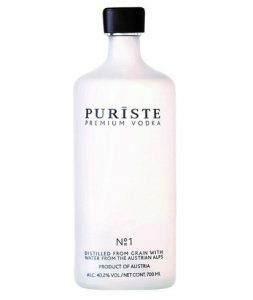 Launched in 2010, PURISTE was developed and perfected by distillers Leo Hillinger and Alois Kracher. The spirit is made from premium wheat and fresh mountain spring water from the Austrian Alps, using a six-step distillation method. This vodka has a faint aroma of pear and honeysuckle with a clean, tropical fruit finish. Born in 1998, Russian Standard Vodka immediately changed the way Russians and others in the former Soviet Union perceive their most famous export. This vodka has a uniquely Russian feel and shows the qualities and skill associated with vodka’s heritage. There is a subtle, bread-like aroma coupled with the sterling crisp character of the winter grains both on the palate and in the finish. Despite its low price tag, the quality is noticeable in every sip. As the Snow Queen on the bottle beckons you in for a taste, our advice is simple: Comply with her wishes. You’ll be rewarded with a superbly crafted, smooth and uncompromisingly clean vodka. Produced in Kazakhstan using organic wheat and artesian spring water from the Himalayas, this vodka is distilled five times to remove any minor impurities. The use of Kazakh birch charcoal is unique to Snow Queen and produces a light, mellow and uncommonly refreshing taste. 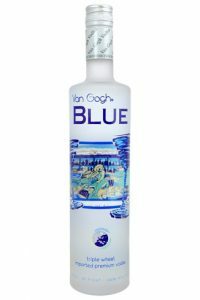 Using premium wheat sourced from Holland, Germany and France, second-generation Master Distiller Tom Vos handcrafts Van Gogh Blue through a double-infusion method. The vodka is distilled a third time using a copper pot still to remove the harshness of the alcohol. Neutral grain flavors combine with mineral undertones, delivering a crisp, dry finish.